Microsoft provides paramount importance to cloud security. And, Microsoft Azure reflects this commitment by allowing protection against threats and vulnerabilities. It makes the IT infrastructure resilient to attacks while safeguarding user access and protecting customer data. Moreover, it comprises of encrypted communications and threat prevention and management procedures. 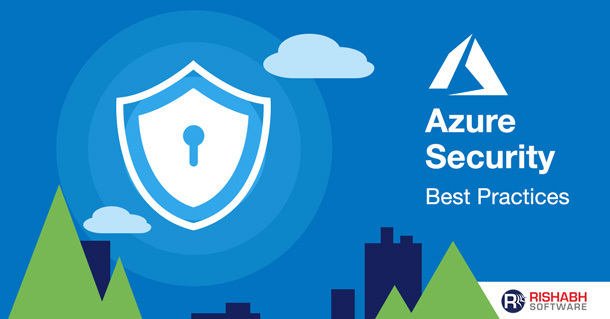 With this blog, we are listing best security practices of Microsoft Azure. They will help reduce the potential impact while securing the cloud projects. Infrastructure-as-a-Service (IaaS) adoption has continuously shown an upward trend. It is even forecasted to grow by 27.6% in 2019, to reach $39.5 billion, suggests Gartner. The listed security best practices are considerations for development teams while designing, deploying, and managing the cloud solutions using Azure. And, it is based on our working experience with customers from diverse industries. Additionally, learn about how we helped organizations to modernize their apps using Microsoft Azure. It involves managing and controlling user identities and access to environments, data, and applications. Thus, it is enabled using the combination of user identities in Azure Active Directory and Multi-Factor Authentication for more secure access. Reduced Exposure To Privileged Accounts: Privileged accounts help administer the data and systems of an organization. To secure them, complete isolation to accounts and systems helps reduce the risks of exposure by a malicious user. Towards this, the security best practices for Windows Azure solutions involve establishing a “least privilege” policy using Active Directory Privileged Identity Management. It allows you to limit the individual access to the smallest possible number of workloads, applications, and data. The access privilege can be expanded according to roles or situations. Multiple Level Authentication Systems: Organizations lacking an additional layer of identity protection, such as two-step verification, are more susceptible to the theft of credentials and data compromise. The Multi-Factor Authentication system helps define the two-step verification by enabling conditional access. Setting specific conditions reduces and avoiding the instances of continually asking the same questions to users. The particular requirements may include, a user login from different locations, unapproved devices, or applications that you consider risky. Restricted User Access: By leveraging the built-in role-based access control (RBAC) in Azure enables restricting user access. It allows assigning permissions to users, groups, and applications across different range. Organizations operating without RBAC offer more privileges to the users than required. It often leads to data compromise and in some cases even in a data breach. Data Protection: For data in transit, Azure uses industry-standard transport protocols between Microsoft data centers and user devices as well as within data centers. For data at rest, it offers a wide range of encryption capabilities up to AES-256. It provides greater flexibility in choosing the solution that is best suited to business-specific needs. With Azure Information Protection solution, you can control and secure mail, documents, and sensitive data that are shared with external sources. The organizations can detect risky behavior and take corrective actions by monitoring the usage of protecting service using Azure RMS (Rights Management System). It is with appropriate labeling of the corresponding documents. Key Management: Securing keys is also essential to protect cloud data. For threat analysis and detection, Microsoft Azure allows usage of monitoring and auditing data. It is achieved by sending logs to Azure or your Security Information and Event Management (SIEM) system. Moreover, with the help of Azure Key Vault, you can store encryption and secret keys (such as passwords) in a safe manner. Limit Network Access: During deployment of a new virtual machine, the RDP port is accessible from the Internet. In case of a Linux virtual machine, the SSH port is open. Microsoft Azure security practice involves protecting these systems to reduce the risk of unauthorized access. 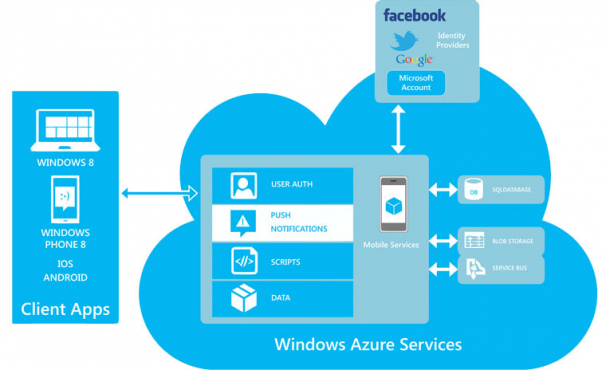 Microsoft Azure enables the use of network security groups (Network Security Group – NSG). Resource Manager allows NSGs to restrict access from all networks to only the desired access points. Also, Azure Virtual Network extends the local system in the cloud via site-to-site VPN to enhance the use of these NSGs. Simplify User Security: Typically, companies make security policy decisions, and IT is responsible for deploying technical controls to enforce them. However, the users are at the heart of these policies. Hence, a function as crucial as data classification must be efficient enough to protect your data, but also easy to use. If a user does not understand how to classify a document in SharePoint Online (or if the process is too complicated), they may not do it. Therefore, it is essential to consider automation across levels to simplify security processes and reduce human errors. For example, user device compliance can be automated by applying a predetermined security policy. Threat Management: Microsoft Azure offers Anti-malware for cloud services and virtual machines. It is through the integration to intrusion identification solutions, denial of service (DDoS) attacks, regular penetration tests, data analysis tools, and machine learning. Further, it also offers scheduled scans, signature updates and real-time protection of the VMs and cloud services. Microsoft has leveraged its decades of experience to create a robust set of security technologies and procedures. Hence, the Windows Azure security best practices checklist is non-exhaustive. As an experienced ASP.NET web development services provider, Rishabh Software incorporates the best of Azure security practices to offer solutions for your organization. Our experts stay updated on the latest on the preventive solutions that will benefit your enterprise. Previous PostEntry And Exit Criteria In Software TestingNext PostSharePoint 2019 Migration – How To Ensure A Successful Upgrade?